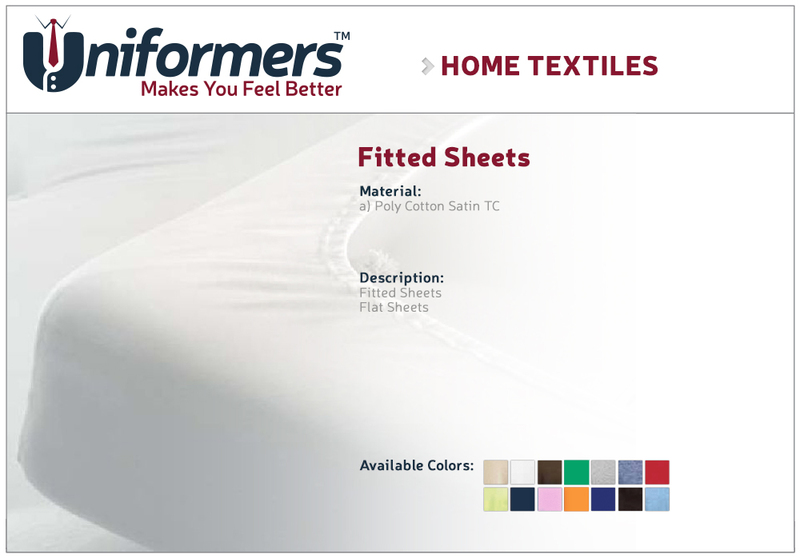 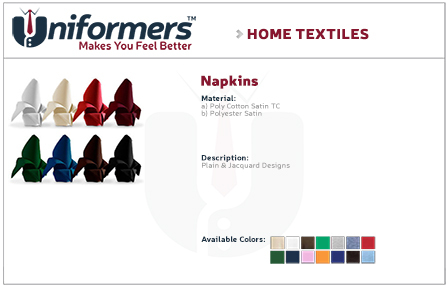 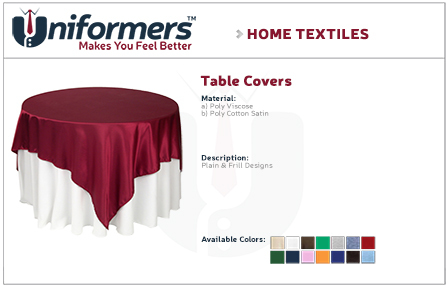 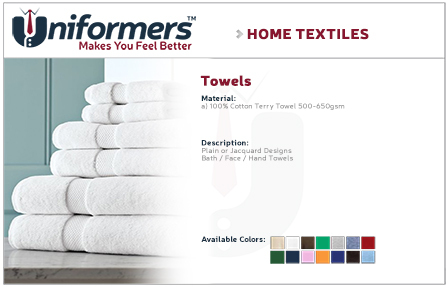 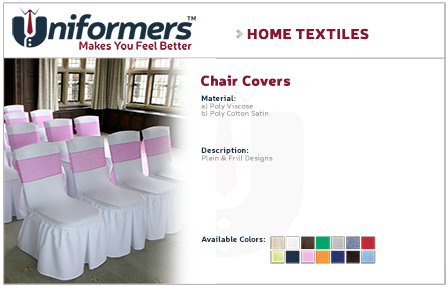 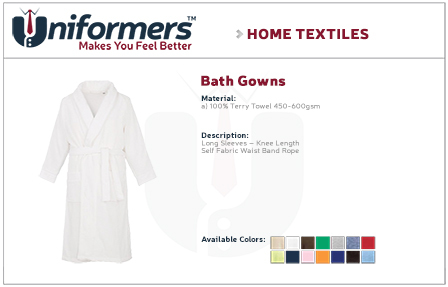 ﻿ Uniformers - Dubai, UAE | Home Textile Collection. Ensuring that the Guests at your hotel are constantly using the linen and towels, hence our Home Textile products are often composed of antibacterial fabrics to prevent the spread of infection. 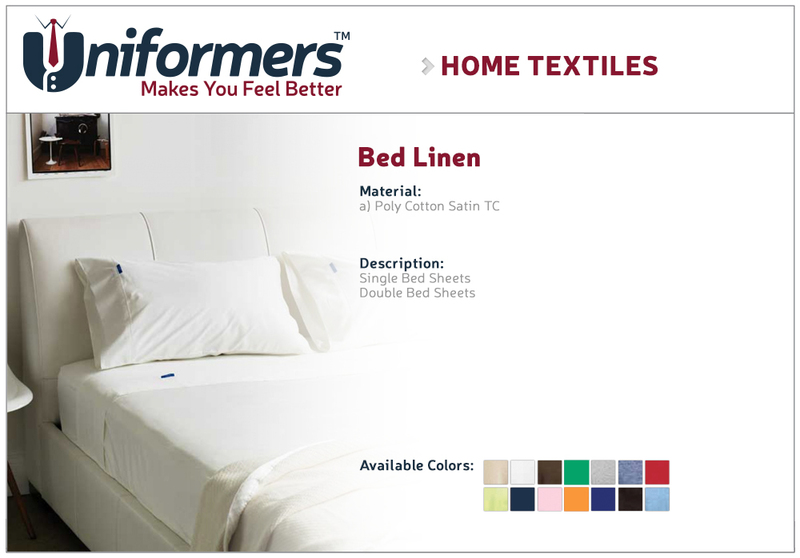 Hence fabric is also important while developing a superior home textile for daily usage. 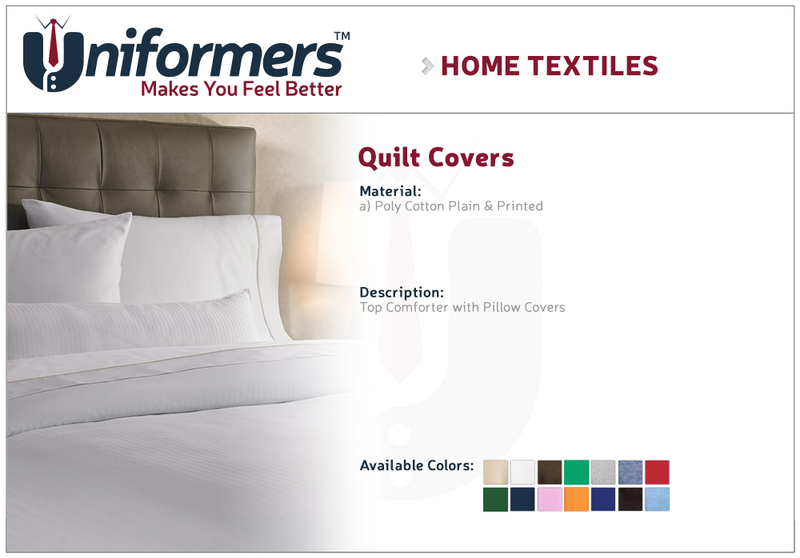 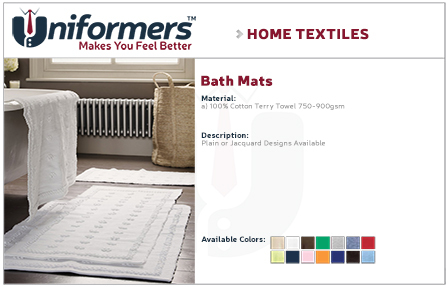 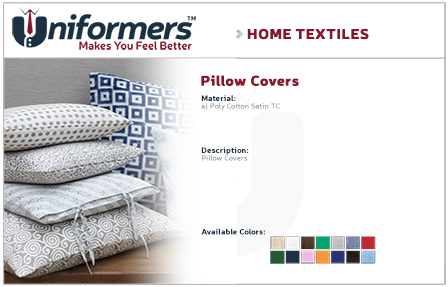 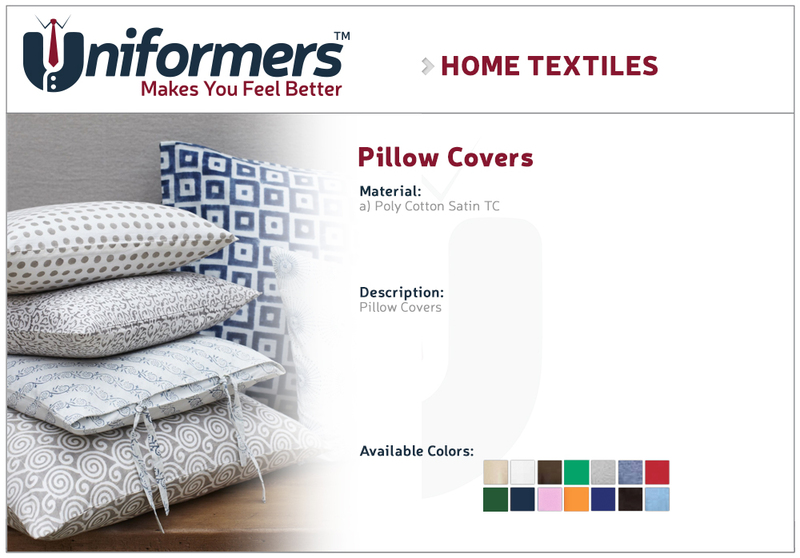 At Uniformers, we can offer different range of items as home furnishing fabrics, Bed Spreads, Blankets, Pillows and Pillow Covers, Towels, Cushion and Cushion Covers, Table Cloth and Mats, Kitchen Linen etc.